You know, this parenting gig is a lot more challenging than I ever thought it would be. Have you ever felt that way? I have often wondered why children don't come with some kind of manual. You hear people joke about it, but it's so true! When my first child was born, I was SO thankful I'd taken a parenting class - I would have had no idea that babies need to eat every hour or two. That was just the beginning of my ignorance. As my girls began to get older, I learned that I was a "yeller." I saw fear in my children's eyes when I was angry, which was far too often. I didn't like being a yeller much, and worked hard to change that about myself. I had to learn that my anger was a choice. It sure didn't feel like one, after years of responding habitually with anger. When we first started homeschooling, I was blessed beyond measure to "meet" Joanne Miller through a homeschooling message board, and she, along with some other wonderful ladies, set me on the road to heart parenting. Let me tell you, this has not been an easy journey for me. It's not at all the way I was raised. However, having seen the results of punitive parenting, I know this is a much better way. 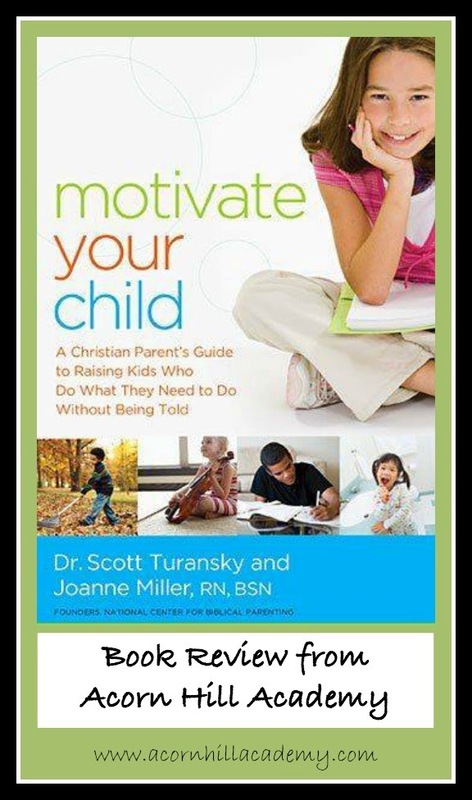 I was thrilled to be given the chance to review Motivate Your Child, a brand-new book by Mrs. Miller and Dr. Scott Turansky. This book teaches parents about the conscience, and how to develop it in their children. Through narrative - stories - you will find lots of ways to teach and encourage your children to be responsible, caring people of integrity. It took a long time to read it, because I made a lot of notes! I especially appreciate the Scripture references, because even though they were all familiar to me, I realized it would be good to have my children memorize them, and be able to remind them of pertinent ones. Although I don't want to parent using behavioral modification, I find myself falling back on it because it's what I know. Get on electronics during school time? I will take them away. That's much easier than teaching responsibility. However, it doesn't take long to see that it only works when I'm available to supervise, and what happens when they're out of the house and on their own? They need to learn to be responsible for themselves. My kids are some pretty fabulous people. When we are at church, for example, they work hard, and do so without being asked. At home tends to be a different story. I need some help getting them to take responsibility for what they should do, and to do things without being asked. I can definitely see some areas in their characters that need some work. This book gives great guidance in how to work on those things. Heart parenting comes down to this: As a parent, I have to set a good example, and be willing to engage with my children. I have to keep working on being who God made me to be, in order to teach them to be the people God has created them to be. This has not been easy - I realized through reading this book just how selfish, and, frankly, lazy, I have allowed myself to become. 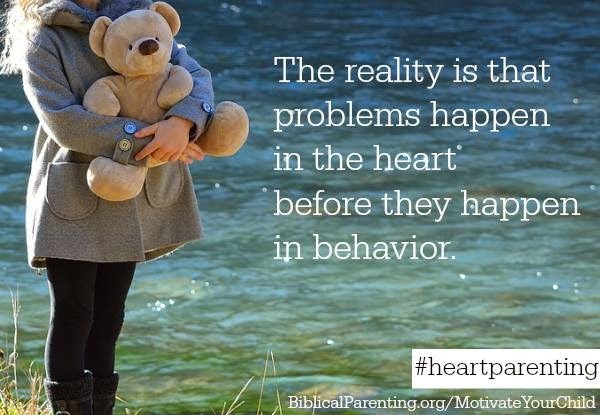 It's much easier to address a behavior than the heart issue behind it. I'm changing my own habits, and that can be hard, but it's very much worth it. I've already seen positive results in my children. When I do what I need to do, they are much more willing do what they need to do. I want them to do the right thing because it IS the right thing, not just because I say so. I've wished often to know how to bring that about, and this book is helping tremendously. Motivate Your Child is available on Amazon, $12.45 for a printed book and $9.78 for Kindle. And, if you purchase a book before January 31, 2015, you can email your receipt to gift@biblicalparenting.org and receive $150 in FREE parenting resources from the National Center for Biblical Parenting! This book is a fabulous tool for any parent. I encourage you to check it out.